While you could go to any movie theater to catch the latest Hollywood fare, not all multiplexes are created equal. Packed houses, obstructed views, technical problems, bad seats, and noisy crowds can ruin even the best cinematic classic. These mainstream movie theaters in Manhattan are the perfect places to see the biggest and best films that are out this week. And if you're into art-house flicks, there are many independent movie theaters in New York City for that as well. There are tons of theaters around the Union Square area, but Regal shows the most blockbuster hits. Unlike its smaller more indie neighbors, Village East Cinema, AMC Village 7, and Quad Cinema, Regal has a wide selection of viewing options, including regular 2D, ScreenX (an immersive, 270-degree experience with projections on the walls), and 4DX (a step further than 3D, the seats move and effects like wind, scent, water, etc. make the movie come alive). For the ultimate IMAX or IMAX 3D experience, head straight to AMC Loews Lincoln Square 13. This theater has the largest IMAX screen in New York City, as well as impeccable projection and sound quality. The decor within AMC Loews Lincoln Square is quite striking, as well, with spacious lobbies and fun doorway designs for the various theater entrances. 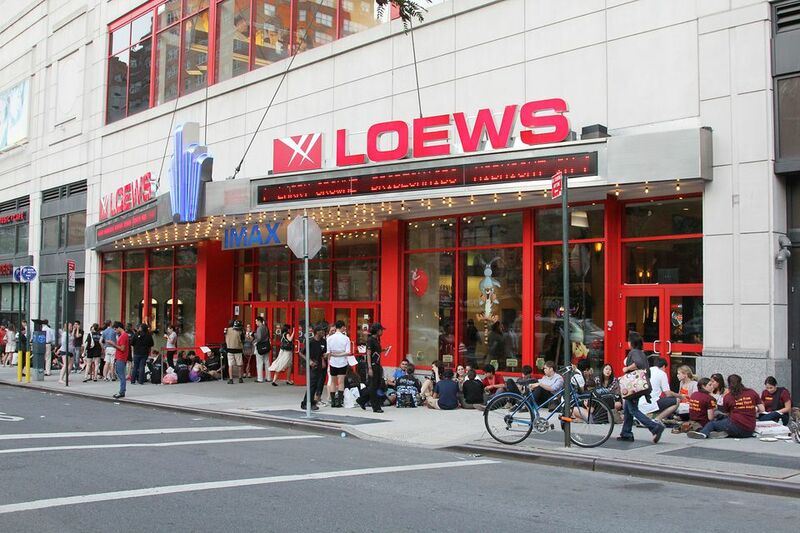 The Loews on 84th Street is a favorite for being the most comfortable movie theater in Manhattan. The seats are all big, cushy leather recliners that allow viewers to enjoy the latest blockbusters as if they were in the comfort of their own home. All seats are assigned, as well, which reduces some of the traditional headaches of moviegoing. Tickets to the 84th Street Loews are pricier than other movie theaters, but many patrons feel that the guaranteed seating and extra leg room are well worth the premium. Packed theaters can be a major problem, especially on opening weekends in Manhattan. That's not an issue at Regal Battery Park. It's almost always easy to get a good seat to see the latest Hollywood flicks here. Since the theater remains a strangely well-kept secret, the crowds aren't that large or loud. As a bonus, there's a Shake Shack around the corner, which is perfect for a pre- or post-movie bite. On the note of avoiding crowds, another great option to consider is the AMC Loews in Kips Bay. The thin crowds that gather at this theater are generally low-key, small, and quiet. It's a nice place to catch new releases and films that have been out for a couple weeks; plus, the seating in each theater ensures good sight lines and unobstructed views of the screen. In operation since 1969, the legendary Ziegfeld is a gorgeous single-screen movie palace, a marvel in an age of impersonal multiplexes. With its classic screening room touting lush appointments (red velvet drapes, chandeliers, etc. ), the Ziegfeld continues to be the site of many premieres and galas. Following a 2017 renovation, the theater has now been transformed into an event space with occasional screenings.